A national Muslim organization whose publicly stated goal is "the betterment of society" is sponsoring a tour by a leader of a fundamentalist Indian Islamist political party that advocates for the creation of Islamic rule over all aspects of society. Yusuf Islahi, a member of the governing board of the Jamaat-e-Islami Hind (JIH) party of India, is teaching and touring mosques in the eastern United States as part of a tour organized by the Islamic Circle of North America (ICNA). He is also functioning as an imam at ICNA's central headquarters in Jamaica, New York. 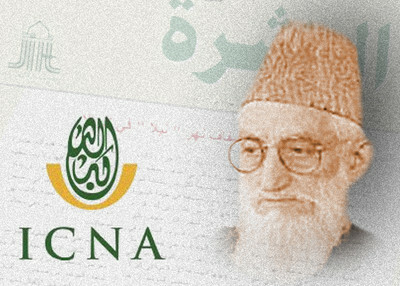 The trip is the latest link in a longstanding relationship between ICNA and Jamaat-e-Islami, a group of South Asian organizations advocating Islamic rule. Islahi came to prominence by roundly condemning violence and the September 11 attacks. However, his organization has come out in support of "resistance" movements against "U.S. imperialism" and against Western political and economic systems. JIH has also called the U.S. military effort in Afghanistan, launched in response to that nation's aid to Osama bin Laden and the 9/11 attackers, as "open aggression." Islahi has also since declared support for Islamist objectives in the United States. JIH has backed terrorism against American troops and in the Middle East. In a March 2007 joint statement with other Muslim groups in India, JIH praised "the historic victory against Israeli aggression in Lebanon by the Hezbollah led Lebanese National resistance." The statement also lauded "the strengthening of the National resistance in Palestine, Iraq and Afghanistan and the world wide opposition and protests against war and occupation is forcing U.S. imperialism into a defensive position." The central beliefs of Jamaat-e-Islami Hind support Islamic rule over politics and the economy. JIH's constitution says religion "encompasses the exterior and the interior of man as well as all individual and collective aspects of his life. There is not even a single aspect of human life ranging from beliefs, rituals and morals to economic, social and political aspects which may be beyond its pale." In particular, JIH has come out against Western economics. A list of policy objectives on JIH's website emphasizes that the party "would expose with necessary evidence the evils of capitalism, particularly the interest-based economic system; and would mobilize public opinion for the establishment of interest-free banking. " Islahi was quoted in a 2009 interview telling ICNA members that "a society where interest is accepted and becomes widespread is disliked to such an extent that both Allah and His Prophet, peace and blessings be upon him, are at war with them." In addition, Islahi is the 'chief patron' of WhyIslam, a project of ICNA dedicated to spreading Islam among non-Muslims. Islahi's views on Western society are stark. In the same 2009 interview Islahi declared that it is not the fault of non-Muslims that the Western family structure is deteriorating. Instead, he said, "Don't blame society; rather we need to change our society to be like us." Islahi's views about changing society are consistent with ICNA's charter and JIH's constitution. ICNA's charter advocates the "establishment of the Islamic system of life," in order that Islam "should be sincerely and exclusively implemented in all aspects of human life." In addition, it states that "the ideal and best practical model for Iqamat [Establishment] of this Deen [religion] was established" Mohammed and caliphs guided by his word. JIH's constitution echoes these sentiments almost word for word. Starting Friday, Islahi is scheduled to appear at mosques in Salisbury, Gaithersburg and Laurel, Md., Harrisburg, Pa., and Fairfax, Va.